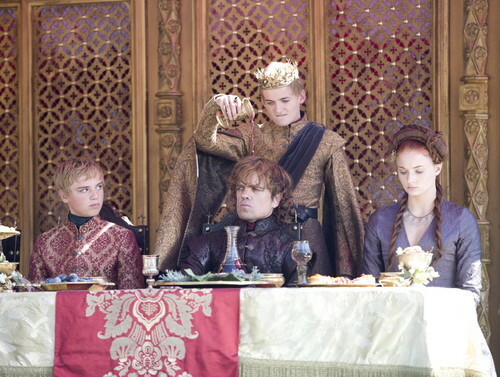 tyrion with sansa, joffrey and tommen. . HD Wallpaper and background images in the House Lannister club tagged: photo tyrion lannister sansa stark tommen baratheon joffrey baratheon. 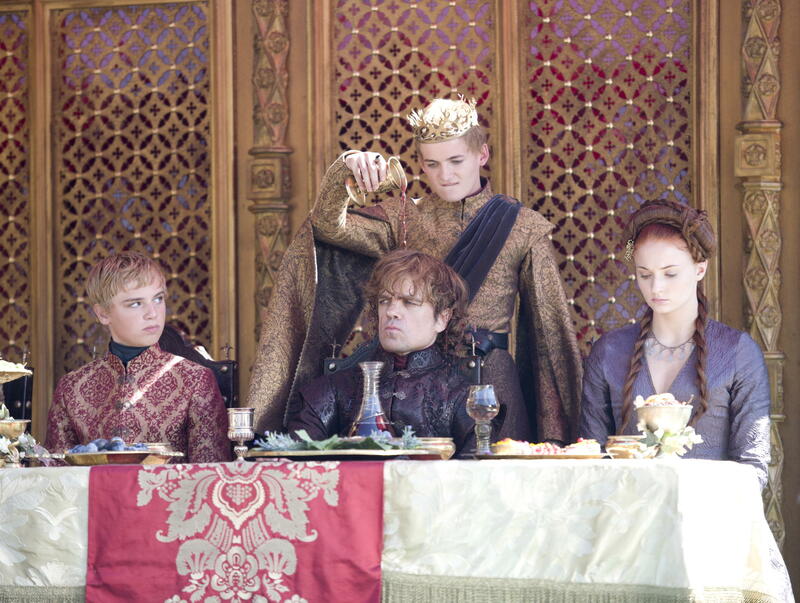 This House Lannister photo contains throne.